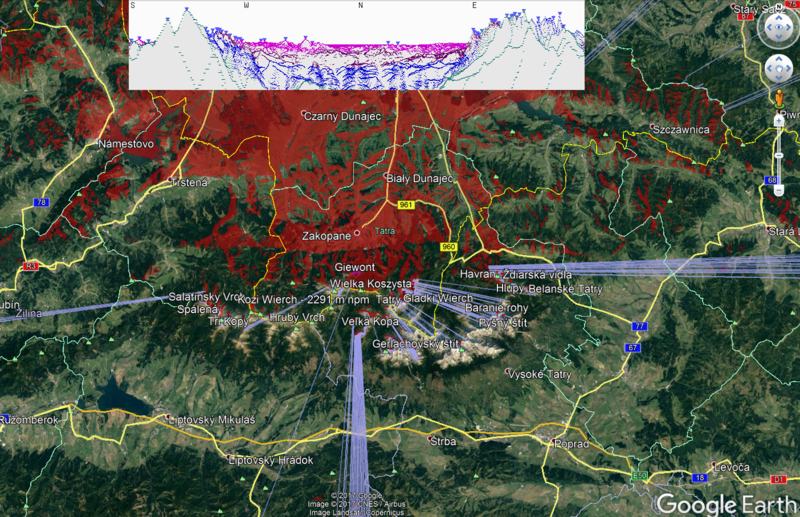 Rysy and Giewont summits (Tatra Mts) Heywhatsthat.com visibility cloak shown in Google Earth. Google Earth has been widely used in geography and GIS. Previously I shown you how to simulate a flood and total solar eclipse path in this tool. There are not only things, that I am going to show you over the forthcoming months. First of all the Google Earth is one of the programme, that I have been using at work so every time when I open and work on this instrument the new ideas come. 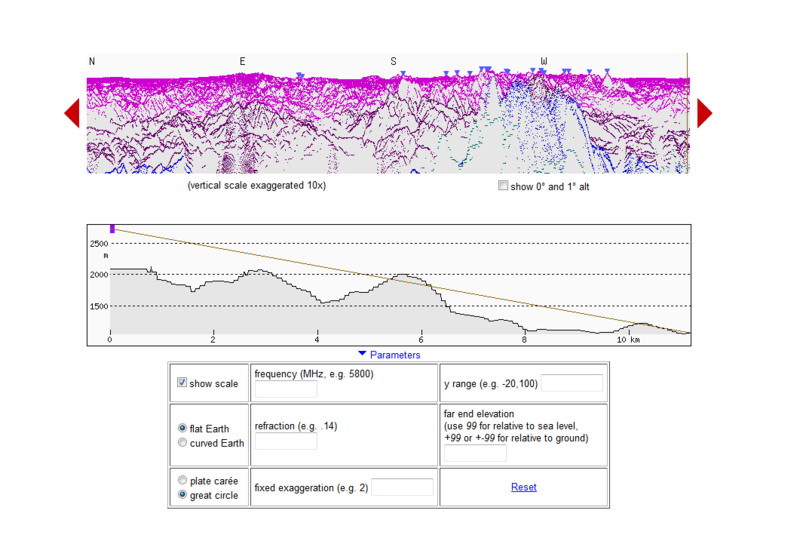 The aim of this article is a demonstration of the multiple summit-perspective views in Google Earth. Those long distance views are to be created in Heywhatsthat.com panorama generator. If you are interested in mountain hiking, long distance views, land surveying or spherical astronomy you may have know, that panoramas, that are generated in the Heywhatsthat server can be used in Google Earth also. Probably you have arleady found in the web some articles about this, however I can show this process roughly step by step for you. Moreover following the main topics I am able to show you how to show more than one summit-perspective view using Google Earth tool. I will provide an examples from Tatra Mountains (Carpathian range, Central Europe)). There are mountains, that I am familiar with. 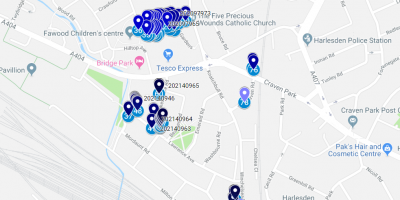 Heywhatsthat.com can provide the map with visibility cloak feature, that enable users to find out exactly which areas would be seen from a summit during the best conditions. It also allows us to set the refraction value. 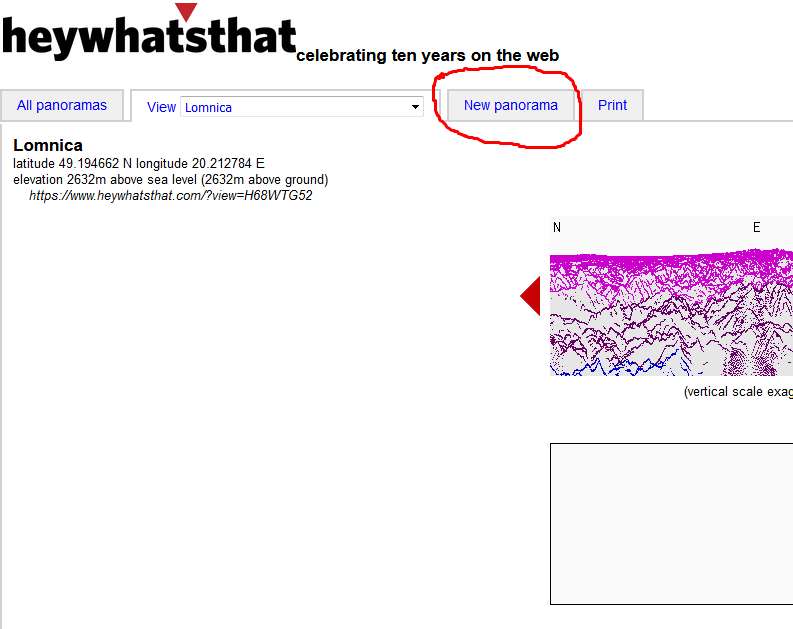 Generating the panoramas in Heywhatsthat.com is quite straightforward. Once you open the website you must look on the top bar, where the very basic options are to be found. 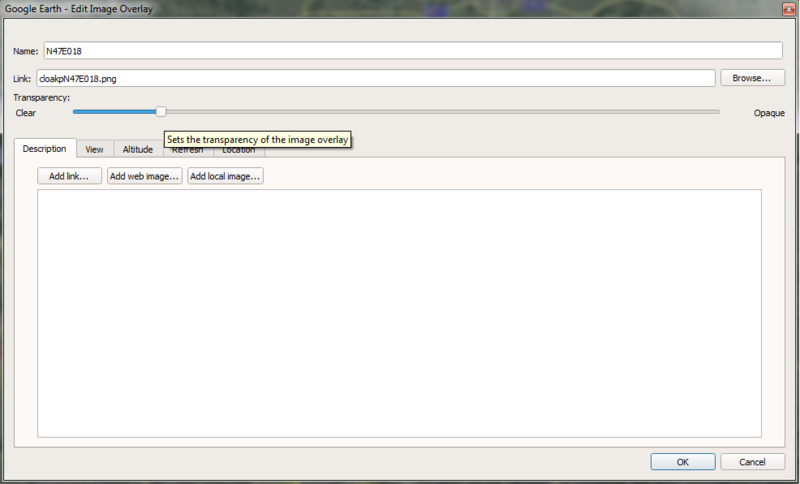 To generate your own panorama from the summit, that you are interested in select “New Panorama” button (Pic.1). Pic. 1 The Heywhatsthat.com top toolbar with the “New panorama” option. Your next step should be marking the rough place (summit) on the map (Pic. 2, No 1) and fill up the brackets on the left of course (Pic. 2 No 2 – 5). Is always better to put a metric scale rather than English when you are not clued up with a feet scale. You can change it at the foot of the screen under the map. Website will remember this option when you open again. Point 2nd on your left has been set automatically so you should’n be worry about it. Basically it allows you to move to highest nearby point to ensure a 360deg view. This option is good, because not always you will be able to pinpoint your summit correctly. Now is the time to specify your elevation. For my case it was a Giewont summit – the highest summit in Western Tatras, that whole lies in Poland. The Giewont peak rises up to 1909 m.a.s.l. After the value it’s good to put a name of your panorama in point 4 bracket, although you don’t need to. When you are sure, that all details has been correctly put in the brackets you must click “Submit” button (Pic. 2, no 6) and wait for a while. Pic. 2 The Heywhatsthat “New panorama” creator with all relevant steps. Excellent! 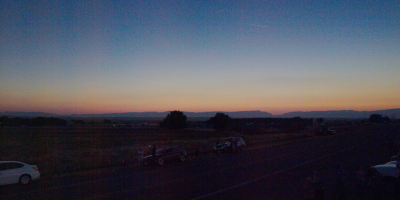 Our panorama has been generated after tens seconds. Now we can see our red visibility cloak, that spreads far out from the summit (Pic. 3,4). On your right you are able to see the most prominent peaks, that can be covered when you are on the top (Pic. 3). Pic. 3 A newly generated panorama from the Giewont summit with nice visibility cloak (marked red) and list of main peaks on the right. Pic. 4 A newly generated panorama from the Giewont summit with visibility cloak (marked red) and horizon pattern, that are to be seen when you are at the top. Having this panorama ready you can zoom in & out to gain the perspective as you want. Taking into account the buttons on your top right you are able to adjust this panorama for your needs. I always choose 3 of 5 buttons: “Horizon”, “All summits” and “Visibility cloak”. You can follow me, making them active. Finally You will gain a view as per as above (Pic. 4). As you may have noticed the “Horizon” buton can help you to determine the furthest possible view, whilst the visibility cloak seems to be really faint. Making all buttons active you must be aware to have a lot of details of your new panorama (Pic. 5). For instance when select “Contours” you will see a main contour levels, that display you the local land feaures. I think, that more important button is “Up in the air”, that can calculate how far is your summit would be visible when you are hunged up in the air. It may be useful in flightseeing, to check the probability to see you summit from a certain flight route. There are 2 variables, that you can set manually. I put 10000 m for one (orange) and 36000 m for another (blue) (Pic. 5). First case represents the view range for the typical plane altitude (10 km above ground), a second one represents the view range for 36 km altutude in terms of the meteorological ballon maximum altitude. In general looks interesting (Pic. 5). Pic. 5 A newly generated panorama from the Giewont summit with all buttons active. It may be interesting, that Giewont technically is to be seen e.g. above Prague (flight altitude) and even above Bornholm (meteorological ballon). Let’s go to the main issue in this topic, namely how to manage the Heywhatsthat long distance views in the Google Earth tool. First of all once you generate your panorama on the top right you have a few options, that allows you to manage your generated view (Pic. 6). 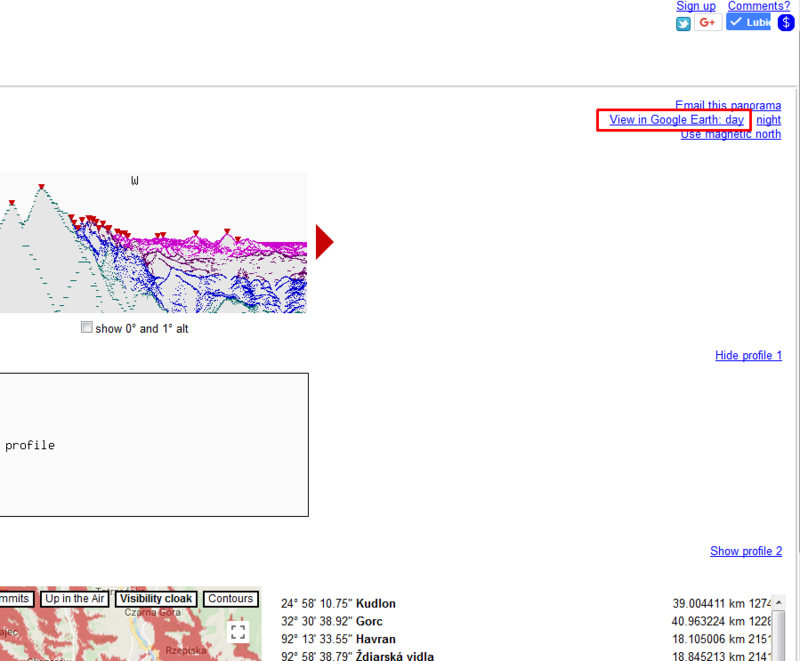 To receive it as a .kmz file you have to select the “View in Google Earth” option. Remember, that it works for “day” version (Pic. 7). Don’t put the “night” version, because your Google Earth will change into sky mode. Click on it and should be enough. 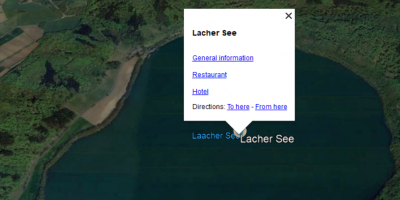 Now you see the window, that allows you to save file or open it directly in Google Earth. Better to choose the 2nd option, however if you wish to rename your file you can save it first. 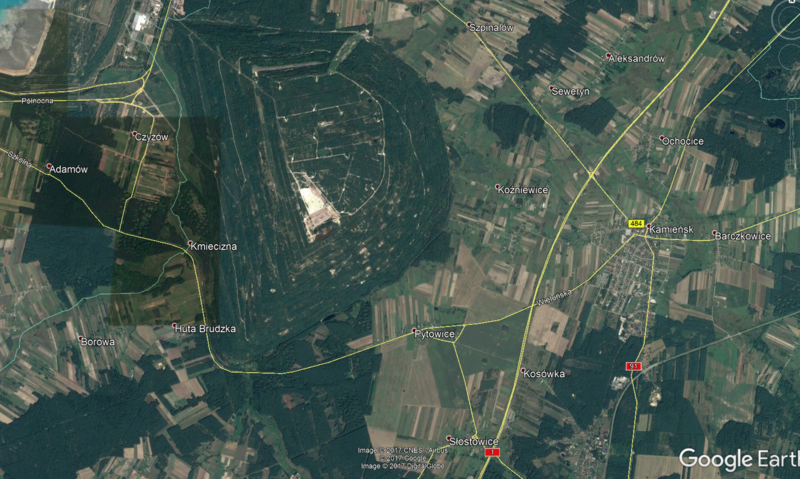 Now we can enjoy a great view in Google Earth (Pic. 8). Everything has been literally moved from Heywhatsthat map (that is obviously Google map) to your Google Earth. Pic. 8 A newly generated panorama from the Giewont summit seen in Google Earth. At first glance everything looks quite messy. We have all layers active (Pic.9), that finally are to be adjusted for our needs. Pic. 9 All layers that consist of the Giewont summit panorama are to be seen on the left toolbar in “Places” section as a last saved file. – visibility cloak, which is displayed as a red layer. Pic. 10 The Giewont summit panorama alocated in Google Earth. At the finish of this issue one thing. Personally I would rather to change the visibility cloak outline color for another one. Initially the fair purple is nice, because it remains clearly visible against the satellite imagery. 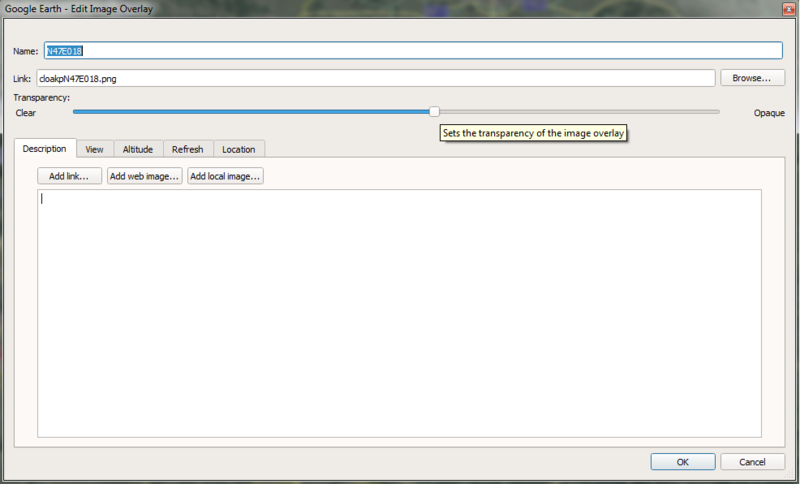 To make a simple amendments of your panorama you need to refer to the left toolbar again (Pic. 11). Find the “Visibility cloak outline” layer and right-click to pop up the command list and next select the “Properties“. Pic. 11,12 Changing the “visibility cloak outline” color in Google Earth. – opacity (55% is a default value,to make your line strong put higher value e.g. 70%). As you have noticed a red squares located at the edges of the horizon line. They are visible when the “properties” window is switched and enable you to change position of them. This is not recommended! Otherwise your horizon pattern will not be valid anymore. Pic. 13 My Giewont summit view with black visibility cloak outline is arleady done! Now, when everybody knows how to put the Heywhatsthat.com into Google Earth with making some alterations we can proceed to more advanced step, that is multiplying of the panoramas. Aforementioned solution have shown us how to put one summit panorama into Google Earth, though sometimes you need more than 1 summit located in the area of your study or check the visual opportunities to see some peas from remote place. Let’s back to the heywhatsthat.com website again. It remembers our Giewont summit panorama, when open again. We are creating a new panorama now, so there are exactly the same steps to encounter with another summit only. Let’s take into consideration the Rysy peak this time. Rysy is the highest summit of Poland, situated in the south-east Polish corner of High Tatras. In general the main Rysy summit is located just outside the Polish border and counts 4 m more, than on the Polish side – 2503m.a.s.l. We are going to considerate it now. 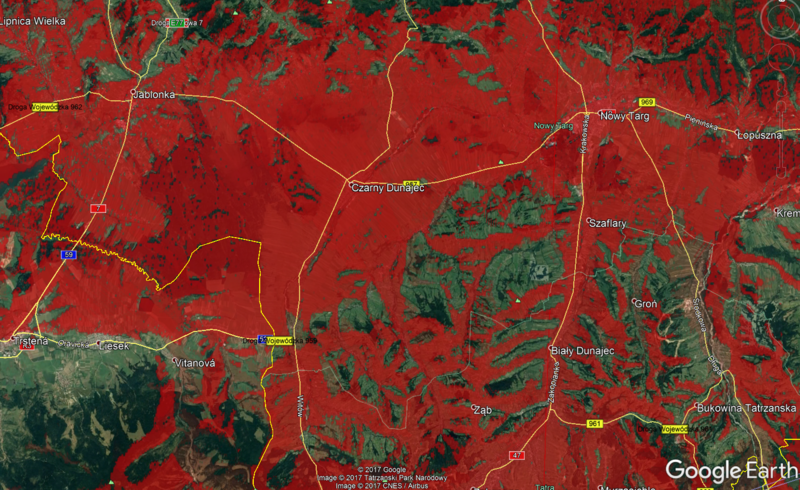 Once you put another summit view into Google Earth you will have unfortunately a terrible mess on your area (Pic. 14,15). Pic. 14, 15 The Giewont and Rysy summit panorama overlapped on each other in Google Earth. Dark horizon range – Giewont, Purple one – Rysy. Fortunately previously I decided to change the “visibility cloak outline” color, hence now both horizon patterns are quite recognizable. Neverthelles observer still would have a problems with demilitation a visibility of the nearer places, mountains or summits. Pic. 15 clearly shows the visibility cloak overlapping, where both marked red are almost completely merged. Due to some transparency feature we can try to point the areas, from where both peaks are clearly visible (stronger red) or only one is to be seen (fainter red), but we don’t really know which one, right!? To enhance our multi summit panorama we need to make some amendments in Google Earth. Let’s open the “Visibility cloak” layer in the left toolbar again (Pic. 16). Pic. 16 The “VIsibility cloak” layer is available in the left toolbar. Select this layer and develope the leftmost triangle to see all separate sections, that are included in whole “Visibility cloak” layer (Pic. 17). Pic. 17 Once you open the leftmost triangle next to the tick mark the drop-down list of single layers become visible. Now we need to right click one by one ant choose the “Properties” section (Pic. 18). Pic. 18 The list of commands after the right-click for one of the layer. The “Properties” includes a few options (Pic. 19). However you have not a wide spectrum of things to change. Even if you can make some amendments like rotate view or stuff like that, they are not recommended. One option, that should bother you is a transparency level, located just under the link. Initially this bar features around 60% of opacity level (Pic. 19). Pic. 19 The opacity level option. When you move your mouse up there, then the command “Sets the transparency of the image overlay” is displayed. Your excercise is a changing this opacity level making the picture more transparent. Move your box then into the left (Pic. 20), and then just go OK.
Pic. 20 The opacity level option. Moving the box into the left will make your layer more transparent. Now you need to repeat this task for every single layer down to the last one or at least for a few. 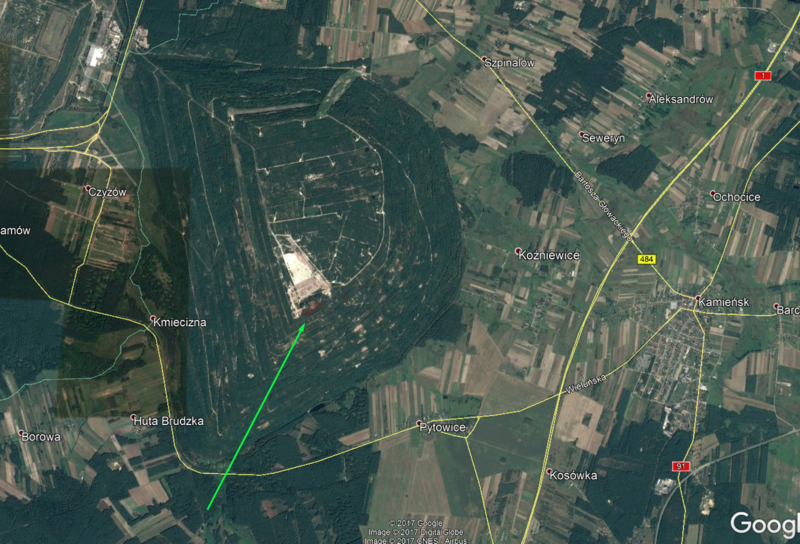 Finally you should get whole “Visibility cloak” layer more faint in Google Earth (Pic. 22). Remember, that if your summit rises very high above surrounding area it may have take some time to load all pieces up (Pic. 21). Pic. 21 Loading the Heywhatsthat.com data into Google Earth. Pic. 22 The “Visibility cloak” layer for both summits Giewont and Rysy: 1 – only Giewont visible, 2 – only Rysy visible, 3 – both Giewond and Rysy visible. As you see above this operation may help you to determine the visibility cloak area, nonetheless the panoramas are still merged. When you put 1 peak more, the situation looks worse (Pic. 23). Pic. 23 3 peaks visibility cloaks merged: Wołowiec, Giewont and Rysy. To be fair the case described above is better to use when we would like to put the visibility cloak of our summit generated for normal conditions against the refraction. Admittedly heywhatsthat.com provides the option to calculate the refraction (Pic. 24), but it refers to the path profile only. Pic. 24 The refraction calculate option in the Heywhatsthat.com. To make a simple calculation of the refraction and show it as an another visibility cloak roughly from the same place you need to generate another panorama with the same summit as previously. One difference is, that you have to put a higher value rather than normal altitude. Don’t exaggerate with it! Average refraction may lift up your summit around 100 m (it happens very rarely, that due to refraction a peaks are up to 150 m higher than normally). Let’s considerate the Łomnica peak as an example. This is one of the highest summit in High Tatras (Slovakia) with an excellent viewshed towards east. I prepared a couple of snips of the Łomnica visibility cloak both in normal conditions and refraction. Let’s see. Pic. 25 The Kamieńska Mt. 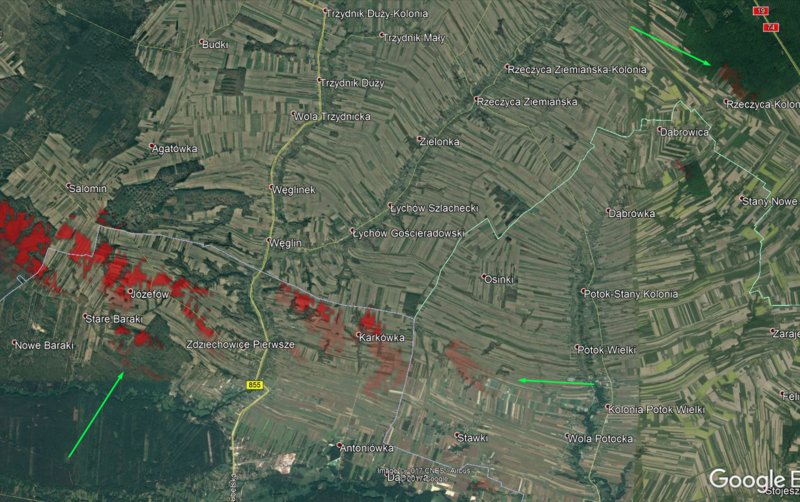 near Piotrków Trybunalski – the northernmost place, from where Łomnica peak can be seen in refraction conditions (market faint red). Pic. 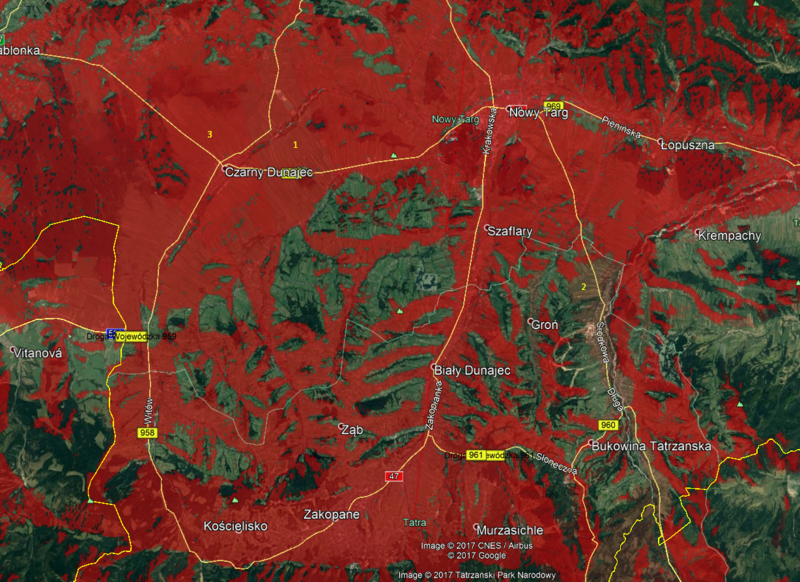 26 The Salomin village near Kraśnik – the extremal north-east place, from where Łomnica summit can be seen in normal conditions and environs, where Łomnica peak can be seen in refraction conditions (faint red)(the furthest place – Rzeczyca-Kolonia village). In any case we need take into consideration the local terrain features like vegetation and buildings likewise the overlaid of the hills situated on a line of sight. To make sure, that your visibility cloak will be more valid add up around 30 m to initial altitute of your peak. Writing this advice I would like to round off this article. 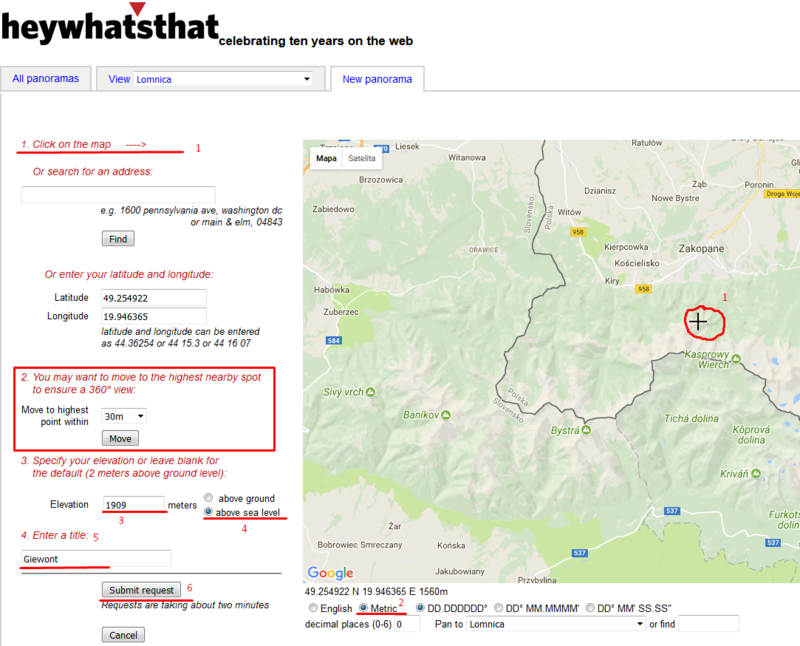 In 2nd part I will show you more options to manage the multi summit panoramas in heywhatsthat.com. 1. Heywhatsthat.com – probably the oldest virtual panorama generator. 5. What is the maximum range I can get?